As I continue to look for inspiration for mid-century design and astetics, I keep finding little diamond mines in unexpected places. 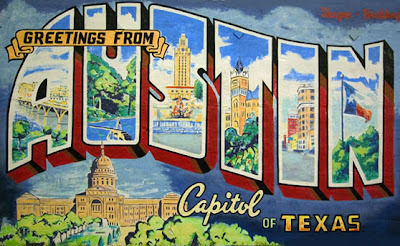 Today's diamond in the rough is Austin Postcard, which has a large collection of vintage postcards from Austin. For those of you not from Austin, The Mueller Airport (pronounced Miller though half of Austin pronounces it like Bueller with an M) was opened in 1936. 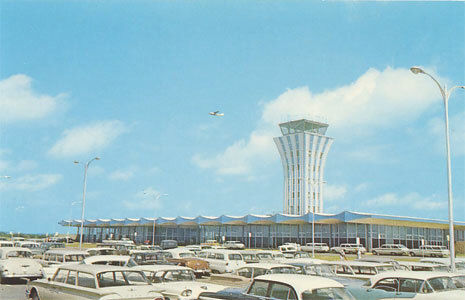 The fantastic-looking tower and terminal you see in the photo were added in 1961. Mueller airport closed in 1999 and is now home to a mixed-used community. Plans are to keep the tower. 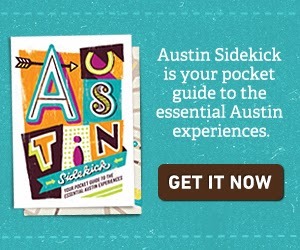 I really enjoyed looking at the Austin Postcard site. Thanks for sharing it.